Washington, September 19 : Many cases of depression may be caused by prejudice from the self or from another person, a new study suggests. But this statement actually comes from a depressed patient talking about herself: "I really hate me. I hate the way I look. I hate the way I talk." The fact that the statement could have been completed in two equally plausible ways hints at a deep connection between prejudice and depression. 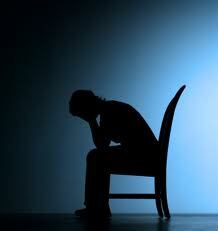 This depression caused by prejudice - which the researchers call deprejudice - can occur at many levels. In the classic case, prejudice causes depression at the societal level (e. g., Nazis' prejudice causing Jews' depression), but this causal chain can also occur at the interpersonal level (e. g., an abuser's prejudice causing an abusee's depression), or even at the intrapersonal level, within a single person (e. g., a man's prejudice against himself causing his depression).